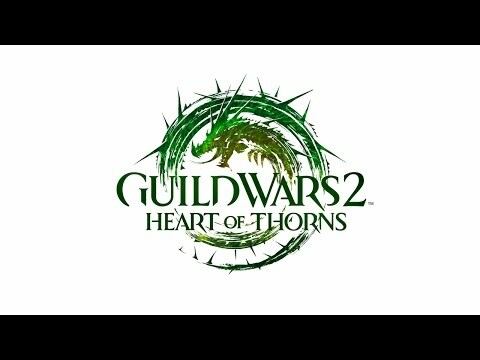 Download game Guild Wars 2: Heart of Thorns™ - Deluxe Edition right now! Additional character slot. Unlock an additional character slot to use with your game account. Miniature revenant Rytlock. Permanently unlock this exclusive miniature replica of Rytlock after he emerged from the Mists as a revenant. He’s rested and ready to accompany you on your in-game adventures. Revenant finisher. Finish your downed foes in style with this exclusive revenant finisher. This feature is permanently unlocked on your account. Mordremoth’s Bane guild hall decoration. Choose one of three exclusive Heart of Maguuma decorations to make your guild hall the envy of all Tyria. Guilds can add multiple decorations of the same type to their halls. Access to all Beta Events. Play in all of the Guild Wars 2: Heart of Thorns beta weekend events. Exclusive title. Receive the exclusive in-game title of Maguuma Trailblazer. Limited Availability. Pre-purchase bonuses are exclusive, and once Guild Wars 2: Heart of Thorns launches, these bonuses won’t be available any other way. NOTICE: no subscription fees. Requires an internet connection to activate and play Guild Wars 2: Heart of Thorns™..